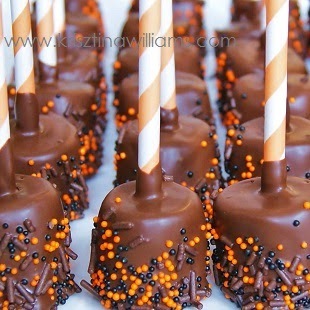 There are so many cute Halloween party favor ideas floating about the web, like the witch's broom goodie bags for example, though they do require some DIY experience. 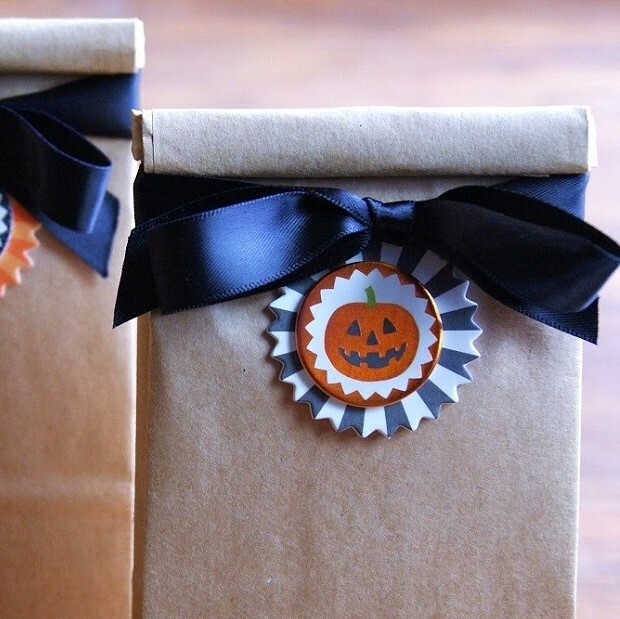 These tin-tie bakery bags are the perfect size for a Halloween goodie bag, and they require no crafting skills. I love how the favor bags I made them with are cute enough for kids but still nice enough for the grown-ups as well. All you need are the bakery bags, ribbon, and 3D Halloween stickers from the craft store. You can use the smaller bag pictured above or a larger bakery bag with a window display. I like to fill the larger ones with treats to give out as holiday presents to neighbors and teachers. 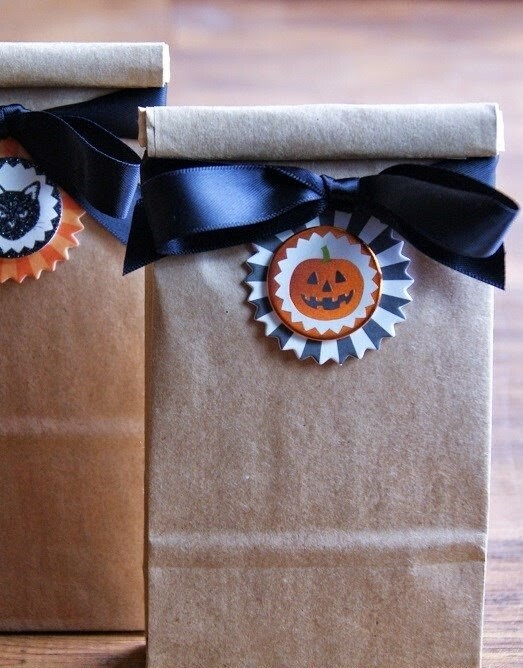 Simply fill the bags with a Halloween treat (homemade or store-bought), close them up and tie them off with ribbon, then affix a sticker to each bag. These are food-grade bags, so they're perfect to fill with homemade fall treats like popcorn, kettle corn, or Halloween chocolates. 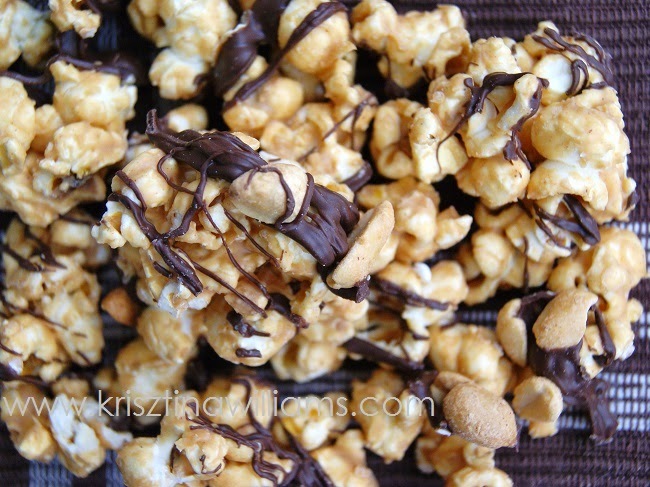 Try my DIY gourmet popcorn pictured above. Line them up on an entryway table for a festive display, and so guests can each grab one on their way out! These are just so cute, I love bag and the popcorn is an amazing idea! Thank you, Cris! Definitely easy to make!